I like to ensure that you know everything about my pricing before you book your session with me. Here you can find out about the different types of sessions I offer. My session fee is paid at the time of booking and covers: my time and expertise on the day of your session; and afterwards; when I carefully edit and enhance your images, presenting them in your own private online gallery. Images are purchased separately and you can read about the different packages I offer here. My family sessions are relaxed and playful. Each session is fully bespoke and depends entirely on your families personality, what you enjoy doing as a family and where you most like to be. Sessions usually take place in a favourite outdoor setting. However, some families prefer a session in their own home and garden or you can divide your session time between your home and the great outdoors. Sessions last around 2 – 3 hours. The session fee is required at the time of booking. After your session you will be able to view your images in a private online gallery. Images and products are then purchased separately. View my image and product packages be clicking here. Session includes traveling within 15 miles of Farnham, GU9. Please ask me about travel costs if you are based in London or further afield. Want to see more images? Click here to view my family gallery. ‘Babies at home’ is a relaxed family session with your new baby. I will visit you in your home and photograph you interacting with your baby in a relaxed, informal and heartfelt way. This type of session is ideal if you wish to have some relaxed, informal and beautiful portraits of you and any siblings with your baby. Their is no set time frame for these baby sessions. Baby can be any number of days or months old. Sessions take place in the comfort of your home and last around 2 – 3 hours. 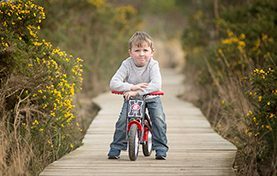 Sessions are fully bespoke and they are designed around your family and home environment. If you wish to have this type of session with a newborn baby my booking schedule is designed to fit in around babies arrival so you do not need to worry if baby arrives early or late. Galleries contain approximately 60 – 80 images. I recommend you book your session after your 20 week scan to avoid disappointment however do get in touch if baby is already here as I do sometimes have last minute weekday availability. 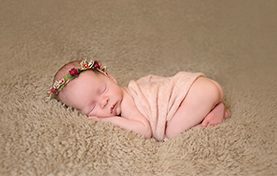 Newborn posing sessions are for babies who are (approx.) 5 – 15 days old. Sessions take place in the comfort of your home and last around 4 hours. I bring my equipment to your home and supply a range of props, blankets and wraps to choose from. My booking schedule is designed to fit in around babies arrival so you do not need to worry if baby arrives early or late. Galleries contain approximately 20 images. I recommend you book your newborn session after your 20 week scan to avoid disappointment. If you are reading this and your baby is over 2 weeks old please get in touch with me anyway. We can discuss a variety of options, including the possibility of achieving some poses with an older baby or having a family session at home with your new baby. Mini sessions include a 30 minute session plus 6 digital images and matching prints. After your session you can view (approx.) 15 images from your session in a private online gallery. 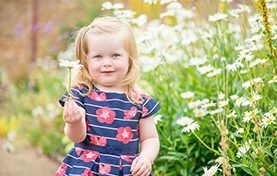 Mini sessions are a special offer which happen on just one or two days in each of the less chilly seasons in the year: Spring, Summer, and Autumn. 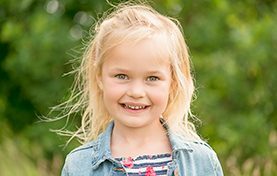 Locations are carefully chosen for their good light, seasonal scenery and they will be easy for even the littlest legs to walk to. 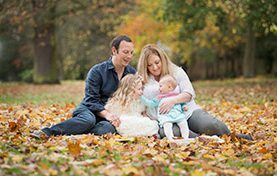 A mini session is suitable for up to 4 family members. If you have a larger family or you wish to include extended family members, a full family session would give me the time to do each member of your family justice. Mini session’s are ideal if you are: a busy family with lots of weekend commitments and you want a quick session and a package of beautiful images ready to display in your own frames at home; trying a lifestyle session for the first time; after one or two special family portraits to mark a special occasion or family mile stone; or; you want more regular professional sessions. Request to join my mailing list HERE and you will be the first to hear about my future mini session dates as they are released. 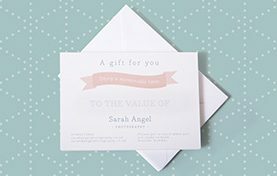 Like me on Facebook to ensure you receive my regular reminders about mini sessions and information about any other seasonal offers.